Cushioned Mailer is lightweight for postage savings. Strong, satin gold outer kraft is made from 60 percent recycled paper with 5 percent post-consumer material. Cushioned mailer offers an easy closure, an interior layer of 3/16" Barrier Bubble and seamless bottom for added cushioning and strength. Simply peel away the liner and seal. 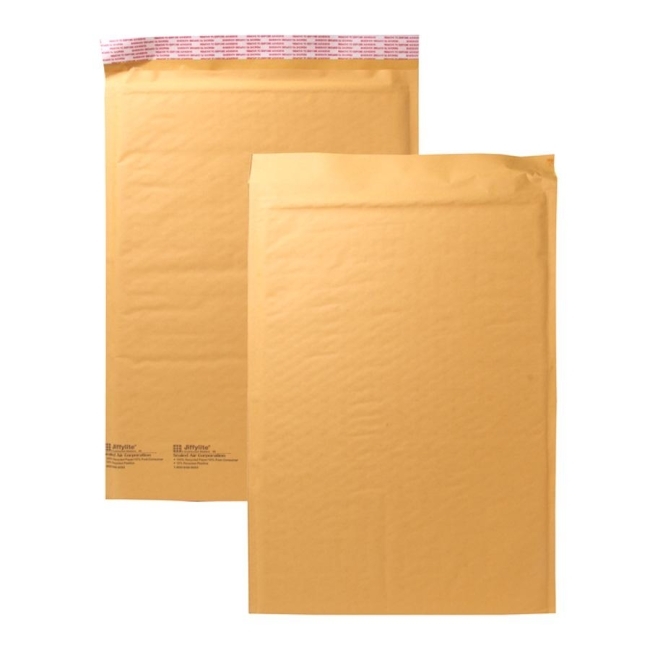 Mailers are dust-free and lint-free.